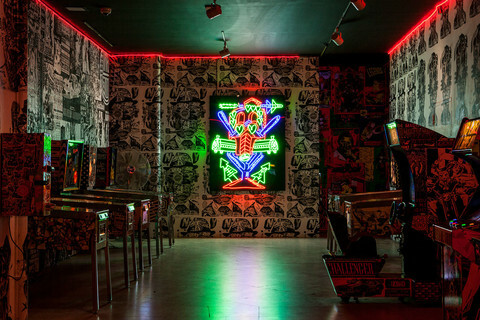 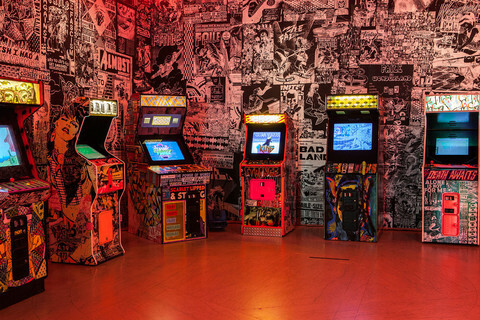 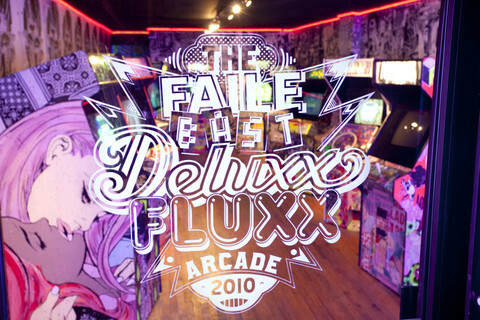 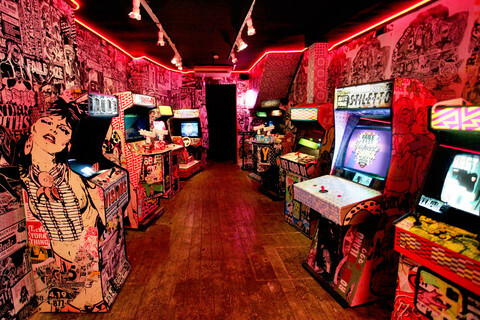 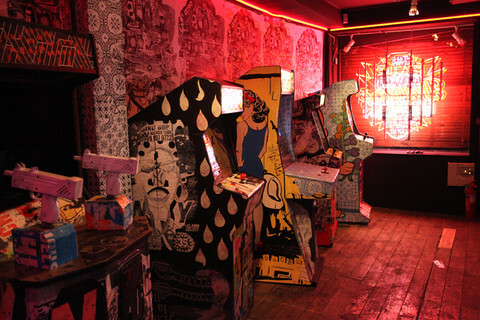 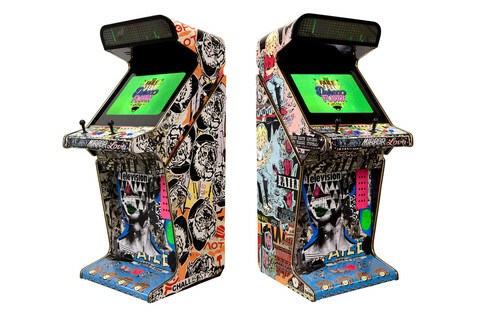 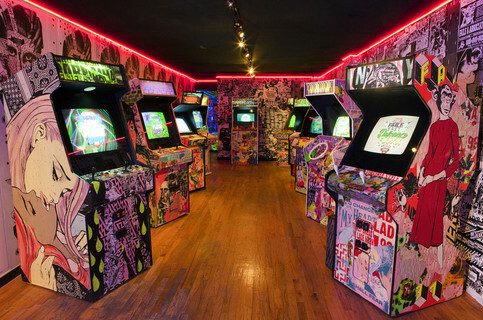 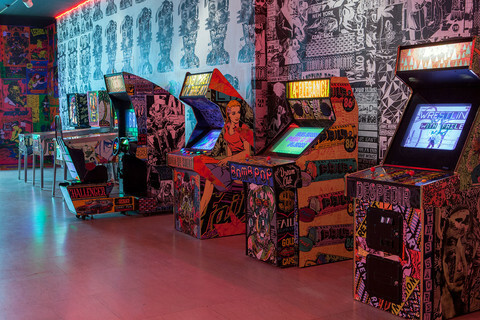 When I first talked to Faile about this project, it sounded like a fun weekend hacking together old arcade games with friends. 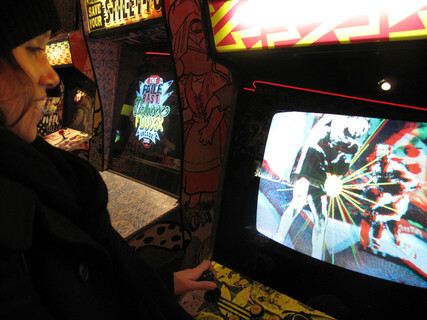 Nearly ten years later, the project is still going strong. 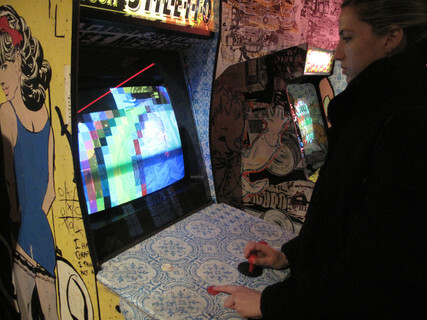 I’ve helped with shows in London, Art Basel Miami, New York, Detroit and at the Brooklyn Museum. 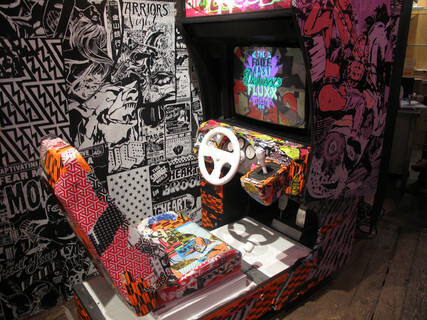 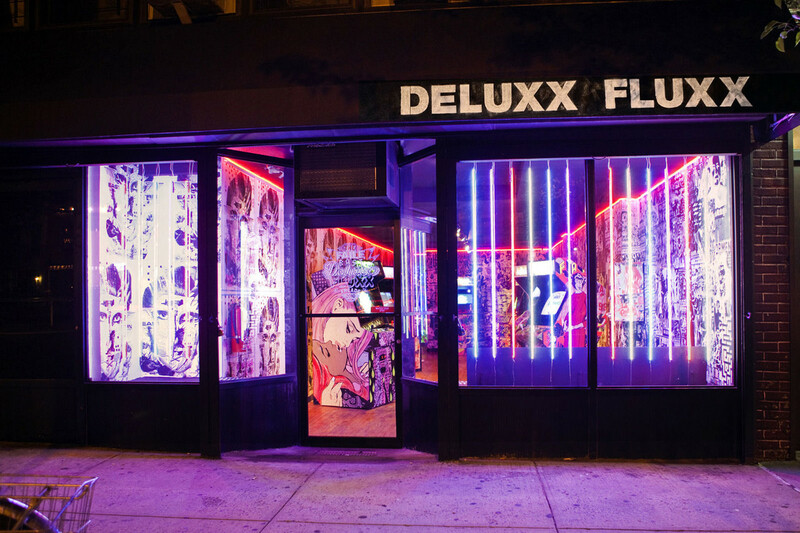 Deluxx Fluxx was one gallery of Faile’s show “Savage/Sacred Young Minds” at the Brooklyn Museum. 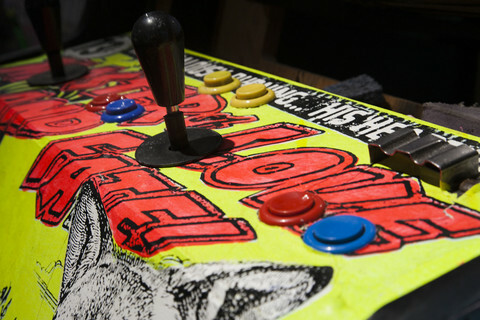 There's more flavor in this video. 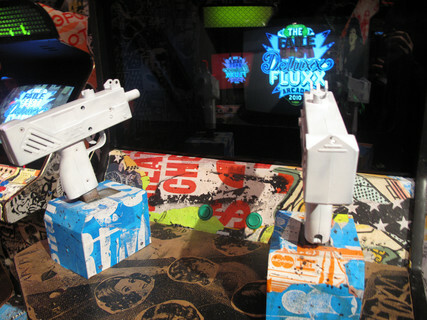 An active show for two weeks. 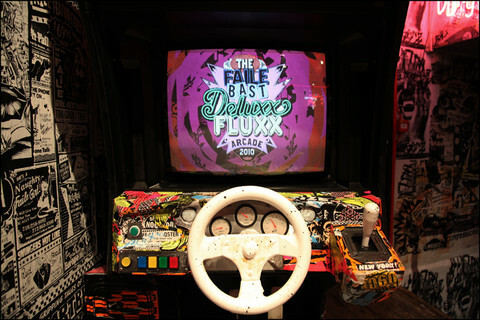 We overhauled the games and added New York centric themes for the show. 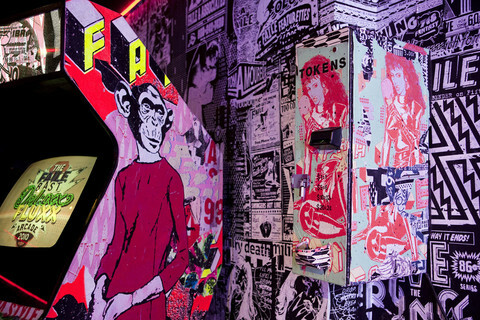 Check out Faile's project site for more images. 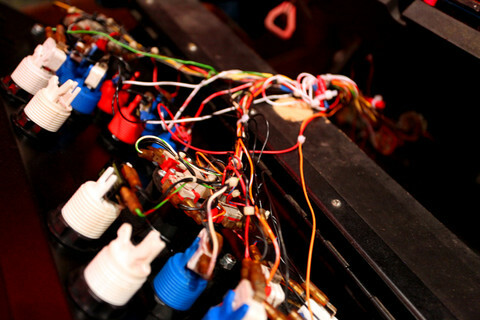 We spent two weeks hunkered down with IT teams literally duct taping computer cases into cabinets. 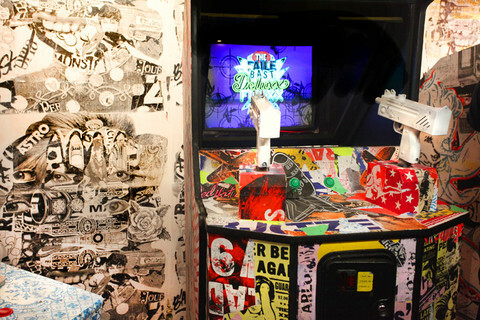 But the show was a success and several cabinets sold. 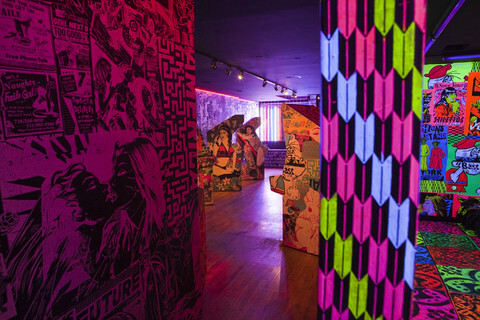 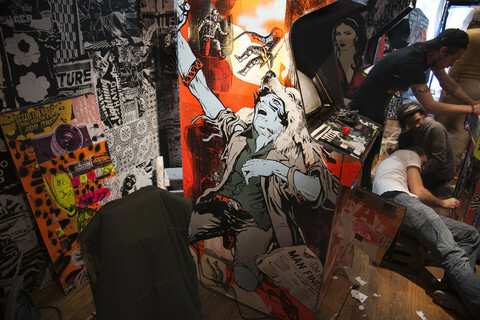 Faile's project page has more images.